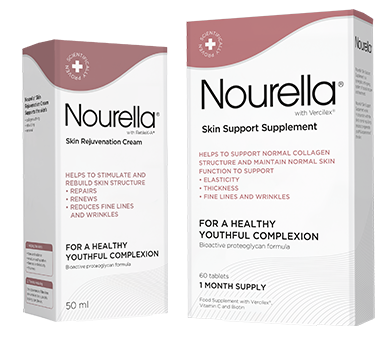 The Nourella® ACTIVE SKIN SUPPORT SYSTEM is the effective, novel approach to provide and maintain support for the skin. If you just want to be updated with relevant knowledge and information, find us on social media. 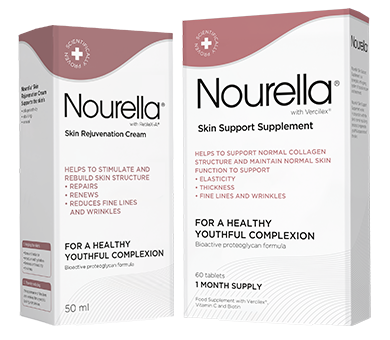 Subscribe to the Nourella® newsletter today for your chance to win a 3-month supply of Nourella® supplement and cream. Nourella®’s safety and side effect free tolerability have been repeated in multiple clinical trials featured in leading international medical journals. Nourella® is completely drug free and based on natural ingredients.